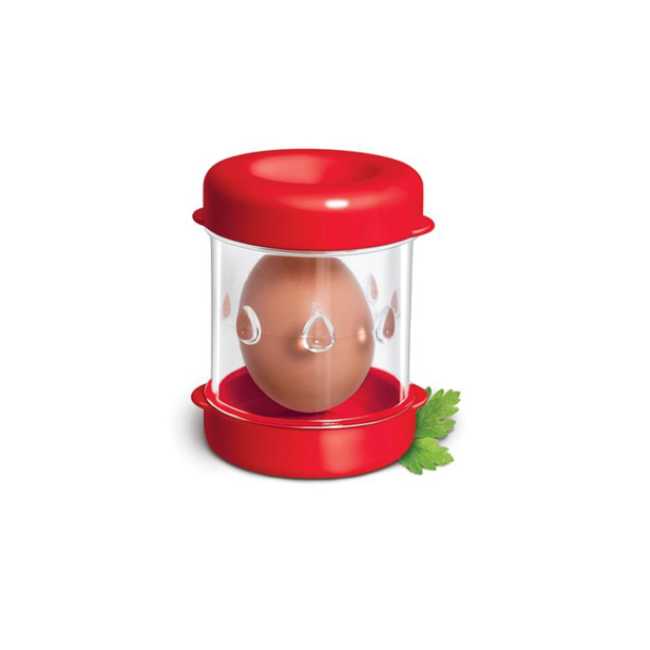 Finally a gadget to help you peel hard-boiled eggs. So easy to use. Simply Snap, Shake and Serve! 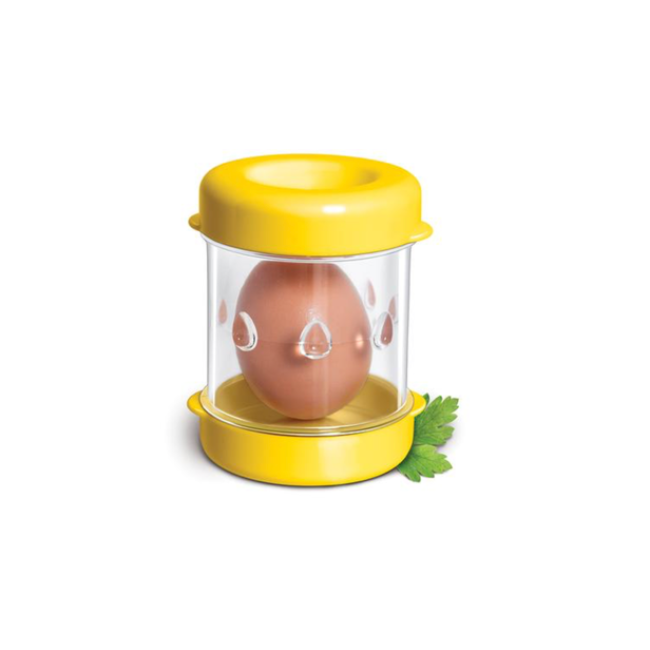 The egg easily slips out of its shell with this handy tool!